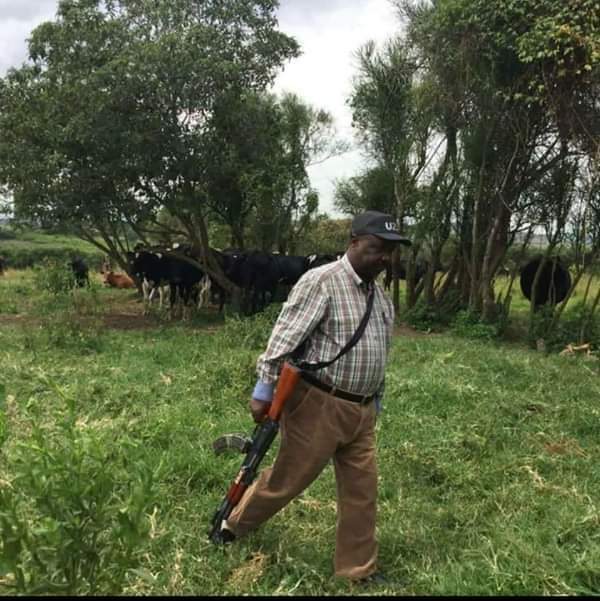 NTUNGAMO – A picture of deputy Attorney General Mwesigwa Rukutana grazing his cattle with a gun has gone viral with many social media commentators wondering why the minister would fear for his safety in his backyard. Many took to Facebook on Saturday night to make hilarious comments about the interesting development. It is not clear whether the minister, brandishing an AK-47, with cows in the background was pictured at his farm in Ntungamo district. The largely controversial Rukutana, once an opposition stalwart but turned heavy NRM defender is tested to comment.